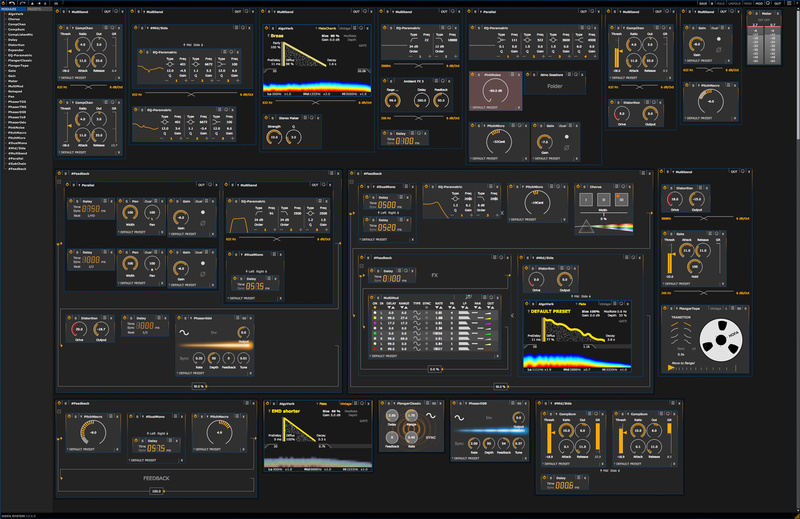 HOFA SYSTEM is an audio plugin with unprecedented modular possibilities. It allows to drag modules like EQs, compressors, reverbs, modulation effects etc into the workspace and combine them in unlimited ways – serial, parallel, multiband, mid/side etc. 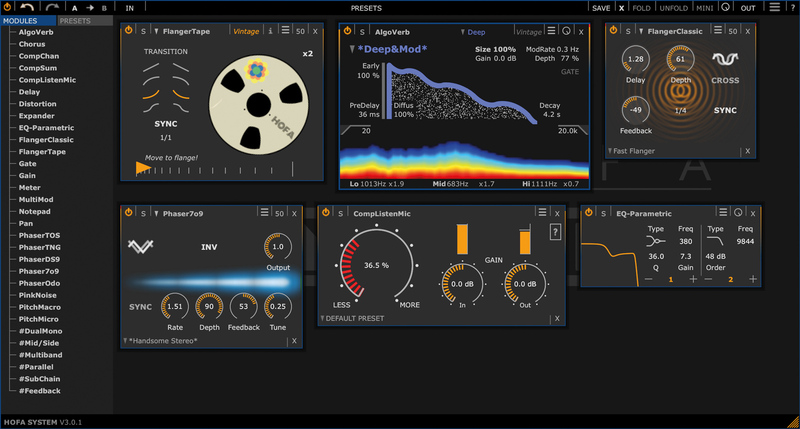 One of the highlights is HOFA SYSTEM AlgoVerb: a postmodern algorithmic premium reverb with super-easy handling that brings the most flexible sound options of classic hardware reverb units into any DAW. parametric EQ with up to 11 bands. Finally, subchain and feedback modules provide the ability to create most complex sound designs.